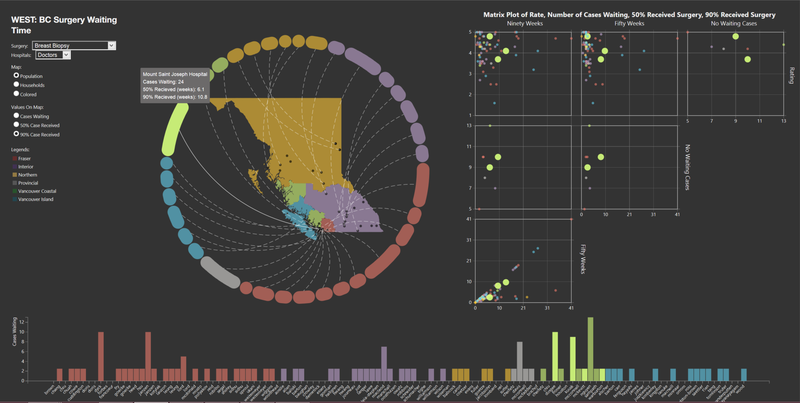 A Computer Science course introducing information visualization -- a computer science research area that is involved with developing and investigating interactive visualizations that are specifically created to help people gain a better understanding of abstract data. Through careful analysis of data, creation of visual representations, and implementation of these representations with meaningful interaction techniques, information visualization researchers create interactive visualizations to increase our ability to gain insight and make decisions for many types of datasets, tasks, and analysis scenarios. An introductory course for teaching the basics of programming media, including both visual and sonic output. The focus is on using programming skills to build creative projects. Topics covered include image, animation, interaction, and sound programming. Students use the Processing development environment to create media projects. 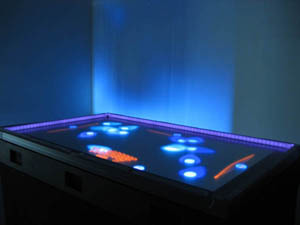 A course examining how interfaces and interaction techniques can best take advantage of the potential offered by tabletop and surface computing. The dominant paradigm of human-computer interfaces over the last three decades is the personal computer (PC) as controlled by a single person through a keyboard, mouse, and monitor(s). Three recent revolutionary trends are causing a paradigm shift in such interactive systems: new form factors, new input technologies, and the generalization of work and social computing. The new capabilities of tabletop and surface hardware radically differ from the windows, icons, menus, and pointers (WIMP) of desktop computers. The corresponding interfaces must change significantly if we are to realize the potential of surfaces. New interfaces and interactions specifically designed for surfaces are now emerging. It is this new emerging understanding that we will study. An inquiry based Art and Computer Science course in collaboration with the Alberta College of Art & Design (ACAD), the University of Calgary and the Banff Centre. This interdisciplinary course will draw upon such skills as graphics, human-computer interaction, interaction design, visualization, representation, perception, and aesthetics to investigate different modes of inquiry into creative practice at the intersection of art and science.